UVA wont win it all.........book it. Bruh that **** came out when my daughter was 3, couldn’t play it at all. Now remastered I’m getting hit lol. Love it though, no pain no ****ing gain right? I don't know if there is a dedicated website that has that kind of data. What I usually do is just a google search for the game's forums (e.g. Dark Souls forum ps4) and browse it for server status/population or create an account and post the question. Or just search the game, platform and toss in server population in the search. I actually did that a few days ago for Dark Souls Remastered and people were posting that plenty of players were still playing and invading games. The past two nights in the zone I was in, there were 3-5 players games I could invade/join and last night while I was trying to kill the Hellkite Dragon some dude invaded my game and started attacking me. Took me off-guard because I was having to do a method that took a long while to kill the dragon because I'm not that powerful yet. So I only had a short bow and Drake sword equipped, no shield. Out of nowhere, that dude just goes off on me, plus I was running low on healing flasks. I almost crushed him though, but he survived and I actually fell off a cliff fighting him, which sucked. We rarely go to the movies anymore. Last movie we saw in theaters was Solo, and that was after it had been out at least a month. Before that, Minions (for me - took my daughter). We wait until they drop on Vudu and just buy the movie and watch at home. It's actually a lot cheaper than the three of us going. Movie at most will cost $20 on Vudu, which is $15 less than purchasing three tickets. Just looked, it would cost me $35.37 for 2 adults and 1 child tickets. Then toss in the cost of the snacks/drinks (even if you sneak them in) and you're looking at $45, or more if you buy them there. I love the theater experience, the big screen. Hell, the theater we go to when we go has the nice huge reclining seats and you can buy beer. It's a fun experience, just a pricey one, imo. Who wants to go to the movies opening day/night anyhow? So crowded. I hear ya. Where are you at in NC? It's something else down here. When I went out to heat up the car yesterday morning around 7:30 it was showing 32-34 degrees. Yesterday afternoon, when I picked my daughter up from school it was 75 degrees. And lets not forget that Tuesday morning it was ****ing snowing. Bro I haven't set foot in a Walmart in 6+ years and the last time was once around midnight because I had a funeral to go to and needed new dress pants. I actually hate shopping in general, especially in stores. Being able to order everything I want/need online is a God Send. But agree, if I am going to go to brick and mortar stores, I'd pick Target over the rest of them any day of the week. The difference is Snyder is not Ted. Ted just won a Stanley Cup last year which most likely combined with the injuries to Wall, salary cap for 2019-20 and missing the playoffs led to him making a long overdue change at the GM position by firing Ernie. He allowed the Caps GM (McPhee) 16 years before making a change. Ernie has been in DC for 16 years, ironically, but with Ted as the owner since 2010. I don't have any faith that Snyder will fire Bruce anytime soon, especially if we keep winning 6-9 games per season and having devastating injuries. Even if he does, I have zero faith that it would be a good hire, one that he would allow enough time to right the ship. I mean, this is the same owner that hired Vinny when he bought the team, allowed Marty to fire Vinny after two years, fires Marty after 1 season even though he won 8 out of the 11 final games and we narrowly missed the playoffs, to hire back Vinny an allow him to be in charge (so to speak) for 6-7 more years. Then hiring Bruce and allowing him to ruin us for 10 more years. We all thought we were finally headed in the right direction when he hired Scot to be GM and we see how that turned out. Snyder can't get out of his own way and evidently has nobody in his personal life (yes, pure speculation) with the balls/guts to tell him what he needs to do. 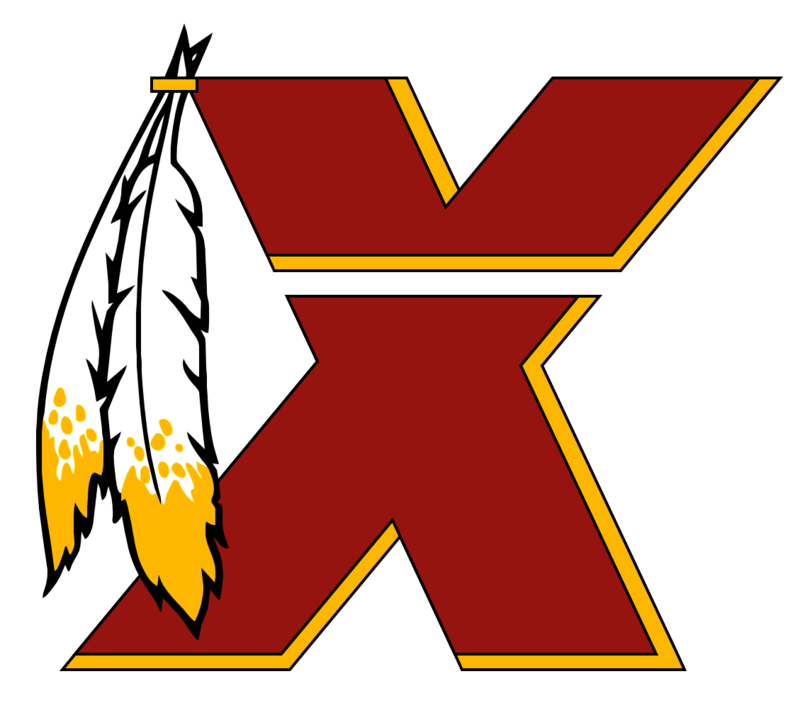 Which is blow it up, issue an apology to the fans, admit he screwed up and wanted to start over and bring the Redskins back to the glory days and hire (overpay if needed) a new President and GM (with zero ties to the organization) and completely step aside. And if he does have someone in his life that does tell him that, well, he is too stubborn and isn't listening. Are you saying ending the one and done rule will force players to play multiple years in college? Because, I disagree. Players that are not on the same talent level as those one and done players are already on scholarships and plenty of them play 3 or 4 years of college ball. Are you saying that the G-League is going to result in more college players that would normally go to college for 3-4 years suddenly quitting college or not going at all and start signing with the G-league instead? Because, I don't think we will suddenly see some huge spike in players not accepting scholarships to go try and make the NBA-G league only to make $35k/yr. Not going to debate that on here again. But will point out that even if you want to use that excuse and not accept the 2009 championship they won, even though we have no idea if not being enrolled into an unaccredited class they didn't know was unaccredited would even impact their eligibility, that year excluded, they still have made it to two championship games, winning one after all that (when the program was clean). The entire point was showing teams that have made it to the national championship game (and some that have won multiple titles) with building a team based on players staying there for 2-4 years (having a solid core of juniors and seniors on the team) versus building a team with a bunch of one and dones and relying heavily on that talent to yield the same results (e.g. KY and Duke). I think having a 15% success rate with one and dones shows that the college game is and will be fine in the future without it. The only coach "concerned" about it appears to be Coach K, after his super team got bounced by Michigan State. And he can spew all the **** he wants about how the NCAA isn't ready, the fact of the matter is that outside of Duke and KY, the vast majority of college teams are in fact ready and won't miss a beat. Duke and KY will have to go back to the way they did things before. And both programs will be fine as they were before 2005, they just can't sell the "I don't care if you leave after one year, my job is to prepare you for the NBA in that year" recruiting talk anymore. In the era of one and dones (since 2005) only two teams built mainly off that model have won the national championship. Duke in 2015 and Kentucky in 2012. So in the last 13 years (2006 - 2018) 85% of the national championship teams were not one and done teams. That's my point. It's not a guaranteed way to win a championship. Sure, it gives teams like Duke and Kentucky an absolute advantage because of the raw talent those players possess. But the lack of experience combined with the chance one or two of the superstars having an off night or average night come into play come tourny time. Total win/loss aside, UNC for example has made it to the national championship game three times during the era winning two of them (arguably got screwed out of one from poor officiating in the first half against Villanova). Duke has made it twice, winning both, one with one and dones, one without. Kentucky has made it twice, winning one and losing one. Florida, Butler, Kansas, Villanova, UCONN have all made it to the championship game twice each as well. Which again, is my point. Teams built the old fashioned way where the players stay 2-4 years and develop a chemistry with each other still works. Statistically better than the one and done model.